Depressed? Don’t pop pills! Meditate instead! January. One of the most depressing months. Not only has Christmas been and gone, with all the stresses and strains that entails, but also it is a time to take stock of finances, goals, personal achievements, all kinds of things which can prompt people to feel less than great. And I haven’t even mentioned the weather!! I noticed this morning that a couple of papers have reported on a review of medical studies which states that meditation can help people with depression. Not only that, but that the benefits are similar in size to those of people taking anti-depressant drugs. What absolutely fabulous news! I don’t know if any of you have had experience of taking anti-depressants. I have, and they made me feel most peculiar. It was not a pleasant experience, but I needed them to recover from my depression which was quite pronounced. I would never counsel anyone who was using these means to control their depression to stop them and only use herbal remedies. It would cause more problems than it solves. However, if you are feeling down, perhaps moderately depressed, meditation might very well be a way for you to control your feelings and get back onto an even keel. Interestingly, the article in the Medical News Today (www.medicalnewstoday.com/articles/270824.php) states that the evidence appears to show that best results come from “training in present focused awareness or mindfulness” rather than transcendental or mantra meditation. The review found that 52% of study participants were better using meditation than the depression control group, 44% were better than the anxiety control group and 31% reported and improvement in pain. So what herbal remedies can be used for depression, anxiety and pain relief? For Depression, St John’s Wort is well known to help. It is available as a supplement from health shops if you wish to take a pill, but there is also evidence to suggest that exercise is a powerful anti-depressant. Some would suggest vigorous aerobic activity is the best form, but to my mind, just getting out into nature (assuming the weather is playing ball and is not so cold that it is dangerous to do so) really calms the mind and emotions. Even when it is raining. 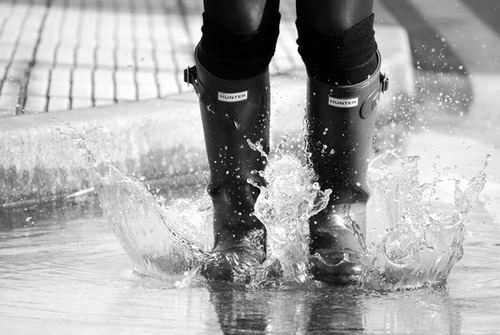 Never underestimate the power of jumping in puddles! Another great way of helping depression is to eat lots of coloured fruit and vegetables. It is the antioxidants contained in those colourful fruit and veg which appear to help. Plus, I can’t help but smile when I am eating a rainbow! For Anxiety, well known herbal remedies include chamomile or green tea. Compounds within Chamomile bind to the same brain receptors as drugs like Valium, without the potential side effects. It is believed that an amino acid called L-theanine is what helps people if they drink Green tea according to the American Botanical Council. Personally, I can’t stand Green Tea, but I do love Chamomile. Pain is trickier to treat, because it does depend why the pain is happening. However,you can get herbal topical treatments for pain and inflammation including lotions made with chilli peppers or ginger. Tumeric is also very useful. However, diet is also key and one containing fish oils and low in animal fats may very well help. And don’t forget exercise. I am fully of the opinion that you should use it or lose it. So a gentle stroll, a slow swim, an easy cycle is better than sitting on the sofa grimacing. Also, T’ai Chi is fabulous for getting movement going, and it is also a martial art! I hope you have found this interesting, and please, leave your comments if you have used these remedies, or have other tricks you use which might help others. This entry was posted in Health Topics, Herbal Remedies and tagged Anxiety, Depression, Herbalism, Meditation, Pain on January 7, 2014 by viridianherbalist. Inteesting – some years ago, you may recall that Daddy and I both were able to experience regular T’ai Chi sessions (courtesy of the NHS, too!) They really did help both of us – to the point that D. was able to stop pain killers for at least six months (we moved you will recall and the programme was not available in the new surroundings). As for me, my arthritis and sciatica definitely disappeared for some time. No, i haven’t but i will keep my eyes open. And welcome! !